A VERY SPECIAL POINT DURING OUR FESTIVAL WEEKEND IS PERFORMING THE COMBINED FESTIVAL PIECE. DURING THIS TIME, ALL STUDENTS GET AN OPPORTUNITY TO PLAY TOGETHER. WE WERE VERY EXCITED TO RECEIVE TWO GRANTS THIS YEAR TO COMMISSION A BRAND NEW WORK OF MUSIC BY A FEMALE COMPOSER. MEIRA WARSHAUER GENEROUSLY AGREED TO BE OUR COMPOSER-IN-RESIDENCE FOR THE 2018 FESTIVAL. DR. WARSHAUER WILL BE ATTENDING THE FESTIVAL THIS YEAR, AND STUDENTS WILL GET AN OPPORTUNITY TO WORK WITH A LIVING COMPOSER ON HER MUSIC. 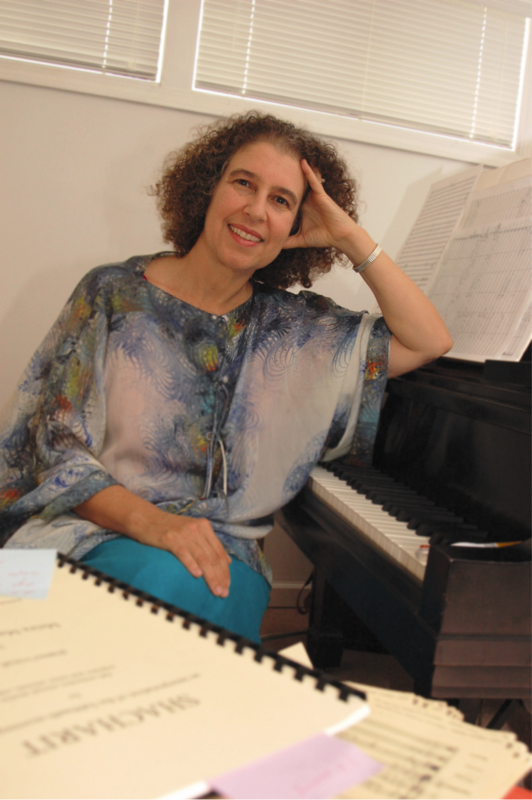 MEIRA WARSHAUER IS A NATIONALLY KNOWN COMPOSER, AND HER MUSIC HAS BEEN PERFORMED BY MANY ORCHESTRAS. HER MUSIC HAS BEEN FEATURED ON MULTIPLE ALBUMS. MEIRA'S MUSICAL PALETTE IS WIDE, RANGING FROM TRADITIONAL JEWISH PRAYER MODES TO MINIMALIST TEXTURES WITH RICH MELODIC CONTOURS, AND FROM JOYFUL JAZZ-INFLUENCED RHYTHMS TO IMAGINATIVE ORCHESTRATIONS OF THE NATURAL WORLD. AT ITS CORE, IT EXPRESSES HER PERSONAL SPIRITUAL JOURNEY. ENJOY THIS SAMPLE OF HER WORK, IN MEMORIAM. BettyAnne Gottlieb is Assistant Professor of Music Education (Strings) at the University of Cincinnati, College-Conservatory of Music. She teaches courses focused on string pedagogy, teacher preparation, and technology integration. Her research interests include democratic learning environments, healthy musicianship, and the nature and meaning of music for beginning instrumentalists. Her current research activities include forming and directing the Cincinnati New Horizons Orchestra – a program that provides beginning and intermediate string instruction to adults in a group setting. Dr. Gottlieb is active with the American String Teachers Association and the Suzuki Association of the Americas. She has taught in the public schools and university-affiliated music programs in Ohio, Pennsylvania, Michigan, and Arkansas, and serves regularly as a guest clinician and adjudicator for regional, district and state string festivals. Dr. Gottlieb is Suzuki trained, performs regularly in regional orchestras and spends portions of her summers teaching at Blue Lake Suzuki Camp and Interlochen.